Real estate investing has become ubiquitous with some of today’s greatest wealth building benefits. Perhaps most notably, investing in real estate has made it possible to grow one’s wealth at a pace that’s unmatched by any other investment vehicle. However, there are more ways to build wealth than simply making money. Today’s greatest investors know that retaining money is just as important as making it, and it’s about time you did, too. There is at least one benefit that can’t go without mentioning: real estate is an amazing tax shelter. The tax implications of a savvy real estate deal are so significant that they deserve to be mentioned alongside today’s most prolific profit margins. What’s more, there’s one tax benefit that stands out from the rest: the mortgage interest tax deduction. What Is The Mortgage Interest Tax Deduction? In its simplest form, the mortgage interest tax deduction is nothing more than an itemized deduction that awards qualifying homeowners the ability to reduce their tax obligations when April comes around. More specifically, however, the mortgage interest tax deduction is exactly what it sounds like: “A common itemized deduction that allows homeowners to deduct the interest they pay on any loan used to build, purchase or make improvements upon their residence,” according to Investopedia. Not to be left out, qualifying owners taking out loans for second homes and vacation residences may also find that they are eligible to deduct their mortgage interest at tax time. The homeowner fills out Form 1040. The homeowner itemizes deductions on Schedule A. The homeowner is legally liable for the loan and is responsible for paying the mortgage interest. The homeowner made interest payments on a qualified home. It is worth noting, however, that the mortgage interest tax deduction isn’t set in stone. Due, in large part, to the amortization of most loans, a great deal of qualifying homeowners will find that they are able to deduct more interest towards the earlier stages of the loan. Since most loans front-load the interest that is due, it’s quite common for homeowners to be able to deduct more interest in the first stages of the loan. As time goes on, and more of the mortgage is paid down, the amount each owner pays towards interest becomes incrementally smaller, therefore reducing the amount they are able to write off at tax time. Of course, things are never as simple as they seem. Before you proceed to make your own mortgage interest rate tax deductions, consult a tax professional. Do not assume you qualify to deduct your own mortgage interest come tax time. How Much Of The Mortgage Interest Tax Is Deductible? Qualifying homeowners and taxpayers can write off a portion of the total interest owed on their property every year, up to $1 million if married and filing jointly. Those filing separately are capped at $500,000. It is worth noting, however, that these limits are over the course of the entire loan. 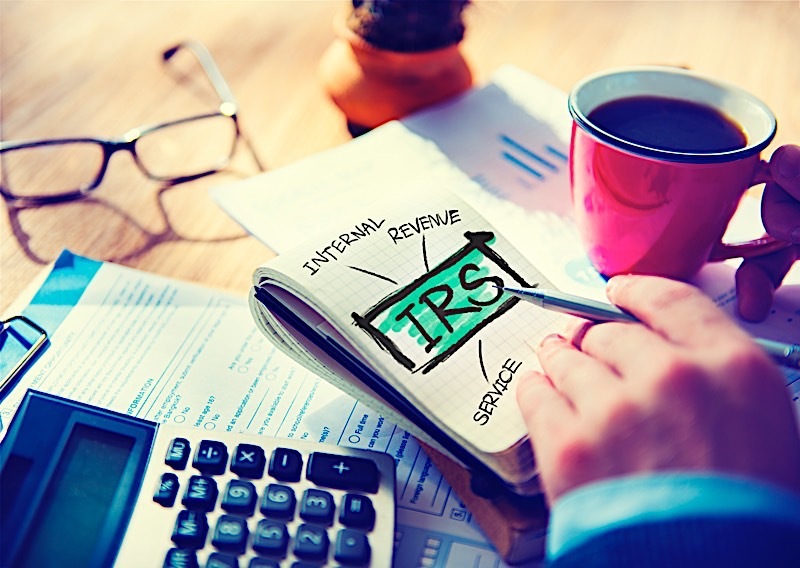 Qualifying owners will only be able to write off the amount they pay in interest each year on their taxes, which will change depending on the amortization of their particular loan. As the rules apply today, qualifying homeowners are allowed to deduct their mortgage interest on home loans up to $1 million (the limit is $500,000 if married and filing separately). However, the latest tax reform will change the amount on loans acquired after 2017. As a result of the tax reform, loans acquired after 2017 will coincide with capped deductions — $750,000 to be exact. That means qualifying borrowers will only be able to write off up to $750,000 oil interest over the course of their loan. What Is A 1098 Mortgage Interest Statement? Again, while mortgage interest tax deductions are fairly straight forward, do not attempt to do them yourself. Consult a tax professional well-versed in real estate law to make sure you proceed accordingly. If, however, you are curious about determining a “ballpark” figure that is nothing more than an estimation, try consulting a dependable mortgage interest tax deduction calculator; the one offered by Bankrate is a great place to start if you are looking for a solid estimation of how much you can expect to deduct. Deducting mortgage interest is unequivocally beneficial to today’s homeowners, but not everyone is qualified to do so on their own accord. As I already alluded to, only a trained tax professional should handle your own mortgagee deductions, as there are a lot of moving parts. What’s more, a person well-versed in real estate tax deductions will see to it that everything is carried out as it should be. Having said that, there’s no reason you shouldn’t educate yourself on the subject matter. In fact, the more you know about the mortgage interest rate deduction, the better. What qualifies as deductible mortgage interest? To be perfectly clear, mortgage interest is essentially any interest paid on a loan secured by a primary or secondary home. You can’t deduct the interest on any homes after that. A third or fourth home, for example, would be exempt from this deduction. Is my house the type of home that qualifies for the mortgage interest rate deduction? Not everyone lives in a single-family home, which begs the question: Is my house the type of home that qualifies for the mortgage interest rate deduction? You will be happy to learn that a home, at least as it is defined by the I.R.S. isn’t relegated solely to single-family unites. A home, for that matter, can be a house, condominium, cooperative, mobile home, boat, recreational vehicle or similar property that has sleeping, cooking and toilet facilities. Who has the privilege of taking the mortgage interest deduction? The borrower that is legally obligated by the mortgage underwriting to pay the debt is the only one allowed to claim the mortgage interest deduction. In other words, it’s the borrower responsible for making payments (and whose name is on the house) that must make the claim. If a married couple, for example, signs for the loan, they are both considered primary borrowers. Is there a limit to the amount of mortgage interest I can deduct? There is, in fact, a limit to the amount of mortgage interest you can deduct come tax time. Generally speaking, homeowners are allowed to deduct the interest they pay other mortgage, up to $1 million; that is if they are married filing jointly. You are married and filing separately, however, you can only deduct up to $500,000. There’s no doubt about it: the mortgage interest tax deduction is one of the single greatest benefits of owning real estate. It is worth noting, however, that nobody is going to claim it for you. Only those that know about it and act on it will be able to take advantage of the incredible tax break. Hopefully this primer answered some of the questions you have regarding the powerful tool that is the mortgage interest tax deduction. Few benefits in the real estate industry are more powerful than the mortgage interest tax deduction. Mortgage interest tax deductions enable real estate owners to reduce their federal tax obligations come tax time. Qualifying homeowners may write off the amount they pay in mortgage interest every year.